CEO of GeoLinks, the Fastest Growing WISP in America named 2018 “Most Disruptive Technology” for its ClearFiber™ Network. If you were to google “how to close the digital divide,” you would not come up empty-handed. As a quick precursor, for those of you who may be unfamiliar, the digital divide refers to the inequalities in finances, education and social status faced by those without computers and access to the internet versus those who do. Because having equal access to digital technology is at the core of the divide, broadband availability, or the lack thereof, has become a highly publicized and debated topic between politicians and telecommunications companies (telcos) alike. Nevertheless, the divide still remains and arguably will continue to remain unless the following five steps are taken. The federal government has allocated and continues to allocate ample funding toward closing the digital divide. Consequently, over the past 20 years, we’ve been able to raise broadband standards considerably, at least in urban and suburban markets. Unfortunately, however, the majority of these funds are awarded to major telcos and incumbent providers, and without a guaranteed long-term revenue case in rural America, they have minimal incentive to invest in new infrastructure or to improve current infrastructure. While this may make sense for their personal bottom lines, it does not benefit the American public. So, if large telcos can’t or won’t service rural America, who will? First, if you have an option to buy from a small local provider, do so — you will consequently be supporting your local economy. However, the problem with totally relying on the little guys is that they are, in fact, the little guys, and often don’t have access to or the power to access the spectrum of state-of-the-art equipment or fiber assets that enable other providers to offer competitive, cost-effective and high-bandwidth solutions. Another option is the middle road between mom-and-pop and the incumbent providers — the mid-sized internet service provider. As it currently stands, mid-sized ISPs do not have the financial resources of big telcos to build out low-cost products with long return on investment, thus making them less competitive for consumers. However, if granted adequate funding to build out infrastructure, these mid-sized telcos have the opportunity to give the mega-ISPs true competition, ultimately keeping the market honest, fair and favored toward the public’s best interest. As it currently stands, today’s major cellular companies hold the vast majority of wireless spectrum allotted by the FCC to resolve the digital divide. These services, while important, do not currently deliver the entire bandwidth necessary to meet the needs of all unconnected Americans. However, the United States still has ample wireless spectrum available. If the FCC and Capitol Hill can appropriate these assets to companies that truly support the public’s best interest, and said companies utilize and deploy intelligently, the utopian idea of one day delivering one-gigabit speeds to every home in America is possible. On February 12, 2018, the White House released the Legislative Outline for Rebuilding Infrastructure in America. The outline, which acknowledges the horrific state of the nation’s current infrastructure, demonstrates the new administration’s framework, meant to build a better future for all Americans. To its credit, there is a handful of positive action items presented in the outline. From empowering individual state decision-making, to establishing true accountability structures, to expediting and streamlining overall permitting and federal agency processes, at its core, the outline perceivably serves in the general best interest of the American public. However, it can also be argued that there are inherent and massive flaws in the outline that will ultimately prevent these goals from reaching fruition. For example, past the inadequate division of funding, there is not a clear timeline of when all legislation changes must take effect. Therefore, even though once these changes are enacted there is a 24-month timeline, there isn’t a clear delineation of an official launch date. To paint an extreme example, this outline could have us all sitting here in five or 10 years still spewing on initiatives that could be and could make a better future. Thus, the administration needs to follow up its outline with immediate deadlines in order to formalize proposed accountability structures. As touched upon above, the idea of expediting processes has been proposed. However, even if we could ensure grant winners would build out as planned, the fact remains that 28% of the U.S. is federally owned, and many of these sites are in areas we need to get through or use for broadcast areas. It’s imperative we support operators’ build times by expediting permitting the use of federal lands sooner than later, and preferably now. While states and communities across the country continue to request fiber optic networks, the reality is that building out fiber infrastructure to every location in America is both cost- and time-prohibitive. Therefore, fiber is not the complete solution if we’re aiming to close the divide in a timely manner. The solution, rather, lies in adapting and building out technology-agnostic hybrid networks. From fiber, to fixed wireless, to 4G and 5G LTE, all of these technologies have their time and place in closing the divide. While there are pros and cons to each method, when used together, they have the ability to create a complete solution that can deliver gigabit and multi-gigabit bandwidth to both urban and ultra-rural communities. So, If We Know How, Why Is There Still A Divide? The answer is simple: lack of action. We know the course; now we need to implement. Therefore, to all of those reading this who feel inspired or compelled to truly take part in closing the divide, reach out to your local and state municipalities, and demand action. California Internet, L.P. DBA GeoLinks (“GeoLinks” or the “Company”) submits these comments in response to the Commission’s Sixth Further Notice of Proposed Rulemaking in the above-captioned proceeding. GeoLinks is proud to service the largest coverage area of any single fixed wireless Internet service provider in the state the California. The Company’s fixed wireless technology platform depends on access to spectrum resources sufficient to support enterprise-level broadband connections. However, to date, access to dedicated spectrum resources has been difficult for small and mid-sized companies, such as GeoLinks. In addition to other bands for which GeoLinks has advocated spectrum policies that would allow fixed wireless broadband providers to obtain spectrum, GeoLinks believes that the 4.9 GHz band offers a means to allow providers to access this vital resource in a way that also protects incumbent public safety users. In the FNPRM, the Commission seeks comment on ways to “stimulate expanded use of and investment in the 4.9 GHz band” and proposes to implement a sharing mechanism to “promote more opportunistic use of the 4.9 GHz band without compromising the integrity and security of public safety operations.” GeoLinks believes that allowing commercial users to share the band on a secondary basis to public safety licensees would be the most appropriate and most effective use of the band to reach the Commission’s goal. Specifically, GeoLinks asserts that such sharing should be allowed on a licensed or light-licensed basis. As GeoLinks has explained in numerous filings, point-to-multipoint (“P2MP”) service options are ideal because they allow a wireless service provider to provide high-speed broadband connections to several end-users (i.e. several households throughout a community) from one location, requiring fewer towers and less equipment than point-to-point (“P2P”) connections. If sufficient spectrum is available, providers can use P2MP technology to deliver gigabit and near-gigabit speeds to customers. In addition, because P2MP services are wireless, use of this technology eliminates the need for costly, time-consuming and disruptive construction that is generally associated with fiber buildouts. This is especially beneficial in rural and high-cost areas and can provide much-needed competition to incumbent providers in urban and suburban areas. Uncertainty regarding how and where and when spectrum will be used by other users makes it difficult to efficiently manage P2MP connections over longer distances, requiring providers to utilize shorter P2P connections to avoid interference, which are less efficient and more expensive to deploy. This is especially true in unlicensed bands. However, under a licensed or lightly-licensed sharing regime with the appropriate frequency coordination in place, commercial users, such as fixed wireless providers, can utilize available spectrum to provide these high-quality, P2MP broadband connections without the risk of causing or receiving harmful interference. GeoLinks believes that this approach should be applied to the 4.9 GHz band. Sufficient frequency coordination paired with a licensed or light-licensed regime would allow secondary users to operate P2MP (or P2P) wireless connections in the band without the risk of interference to primary, public safety users. As an initial matter, GeoLinks agrees that any changes made to use within the 4.9 GHz band should not force incumbent licensees to modify, abandon, or replace existing 4.9 GHz facilities. GeoLinks (as well as other wireless broadband providers) can coordinate its use of a frequency around any fixed point (i.e. the transmission path of a primary licensee) or around any primary use that may be necessary to avoid harmful interference. However, in order to ensure successful coordination so that incumbent licensees are protected, additional users of the band must know where within the band incumbents are operating. Therefore, GeoLinks agrees with the Commission’s proposal that incumbent licensees whose authorizations currently encompass the entire 4.9 GHZ band must certify the channels they actually use and input this information into a frequency coordination database (along with transmitter and receiver parameters). The Commission Should Require Strict Buildout Requirements for Any New Users of the 4.9 GHz Band. As GeoLinks has advocated in previous filings, any spectrum license should carry with it the requirement to serve the public interest – including for shared or light licensed spectrum. Spectrum is, first and foremost, a public resource and should be allocated accordingly. 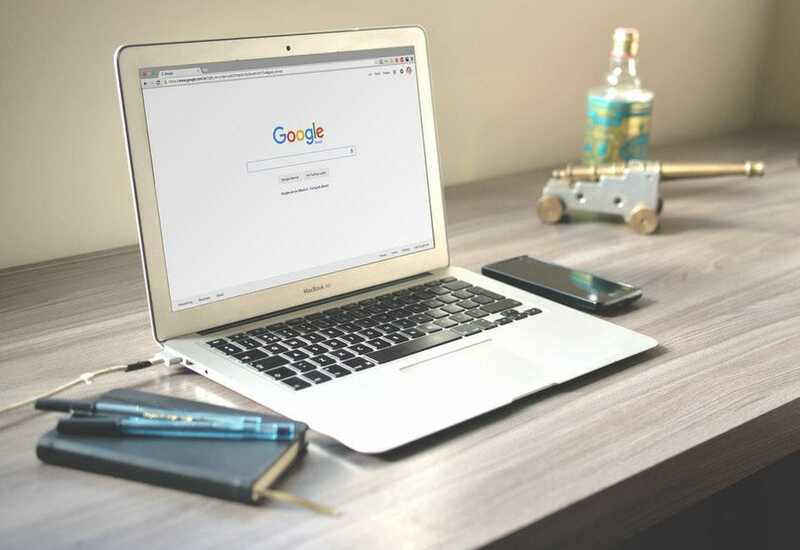 Similar to its recommendations for other bands, GeoLinks proposes that the Commission impose minimum buildout requirements for any commercial licensee utilizing the 4.9 GHz band. Specifically, GeoLinks recommends that this minimum be set high enough to ensure that unserved areas (if applicable) within any license area are not left behind. GeoLinks believes that these requirements will encourage use of the 4.9 GHz band by commercial users serious about deploying high-speed broadband services and alleviate any risk of spectrum warehousing. In addition, GeoLinks urges the Commission to implement a reporting process to track whether buildout requirements are met (and met properly). Based on the foregoing, GeoLinks urges the Commission to allow for commercial use of the 4.9 GHz band on a secondary basis under a licensed or light-licensed sharing approach. Id. Moreover, GeoLinks agrees that only those channels for which information has been supplied should be afforded protection. California Internet, L.P. DBA GeoLinks (“GeoLinks” or the “Company”) submits these comments in response to the Notice of Proposed Rulemaking and Order Terminating Petitions (“Notice and Order”) issued October 24, 2017. GeoLinks is proud to service the largest coverage area of any single fixed wireless Internet service provider (“ISP”) in the state the California. While the Company had previously focused on business and enterprise customers, in 2016 GeoLinks expanded its customer base to include nearly 30 rural school districts and surrounding communities throughout the state that previously had not had access to any high-speed broadband service. As the Company expands, it strives to reach more unserved and underserved areas within California and beyond. GeoLinks provides these comments to urge the Commission to adopt rules with respect to the 3550-3700 MHz Band (the “3.5 GHz Band”) that promote competition and adopt general spectrum practices that allow small and mid-sized ISPs to deliver competitive high-speed broadband services to help close the digital divide. As GeoLinks has explained before, millions of Americans lack what is, by today’s standards, considered high-speed broadband access – especially in rural areas. Sparsely populated rural areas are not well suited for traditional, wired broadband service given the cost to build and deliver a cable/ fiber-based network. However, fixed wireless broadband technology can provide high-speed broadband to consumers in these areas for a fraction of the cost. For this reason, it is imperative that spectrum resources be allocated in ways that allow fixed wireless ISPs to deploy services to these regions. GeoLinks understands that the 3.5 GHz Band is gaining traction as “one of the core mid-range bands for 5G network deployments throughout the world” and acknowledges that any rules the Commission develops for this band will be primarily for 5G mobile wireless use. However, this band is also well suited for other wireless technologies that can be deployed quickly to start closing the digital divide. GeoLinks urges the Commission to develop rules for this band that support 5G deployment without closing off the 3.5 GHz Band to other uses, such as fixed wireless service. In its comments on the Public Notice issued June 22, 2017, GeoLinks supported a longer PAL license term. The Company believes that longer terms will allow license holders time to better utilize the spectrum. Specifically, the expectation of extended use of a specific band of spectrum creates certainty that will allow license holders to work with equipment manufacturers to develop and produce new equipment at lower costs. These lower costs will, in turn, allow license holders to invest more resources into their networks to promote higher speeds, additional roll out, etc. However, in supporting these longer license terms, GeoLinks urged the Commission to ensure that any licenses granted in the 3.5 GHz Band are allocated in ways that allow for robust competition. Specifically, spectrum resources should not be available to only those companies with large amounts of capital or those who would purchase it as an asset with no intention of utilizing it to its full potential. The Commission should consider the role various technologies may play with the 3.5 GHz Band and ensure PALs are allocated in ways that promote competition. Fixed wireless ISPs can offer a competitive choice to traditional, wired broadband service providers for a fraction of the cost. These technologies can be rolled out quickly and are the most cost-effective way to connect unserved consumers throughout the country. Allocating PALs within the 3.5 GHz Band in a way that allows these technologies to compete will help ensure the Commission’s stated goal of promoting competition. One way in which the Commission can ensure competition within the 3.5 GHz Band is by keeping its existing spectrum aggregation limit in place. In the Notice and Order, the Commission asks whether it should modify or remove its current 40 MHz spectrum aggregation limit. GeoLinks asserts that allocating more than 40 MHz of spectrum to one PAL holder will essentially close off the band to any other provider that could use that spectrum to provide high-speed broadband service. Moreover, allocating more than 40 MHz to one PAL holder that is not positioned to utilize the band immediately (e.g. a mobile wireless carrier planning to utilize the band for future 5G services) could mean that the 3.5 GHz Band would not be utilized fully for an indefinite amount of time. The Commission should reject any rule changes that could promote inefficient use of spectrum or spectrum warehousing. Along this vein, the Commission should also create rules to ensure that an entity cannot circumvent this aggregation limit by acquiring another PAL license holder. In the case of an acquisition, the remaining PAL holder should be required to relinquish any spectrum in excess of 40 MHz in the band within the specific geographic license area. In addition, PALs should be distributed in a way that ensures a mixture of technologies are able to utilize the 3.5 GHz Band. Specifically, GeoLinks suggests that the Commission create a licensing scheme that distributes PALs amongst technology types as equally as possible. For example, if mobile wireless service providers and fixed wireless ISPs apply for PALs within the same geographic area, the Commission should ensure that both types of technologies are able to obtain PALs in that area. In other words, the Commission should not let one technology type dominate the entire band within a geographic area. This will help ensure that the specific characteristics of the 3.5 GHz Band are utilized in more efficient and technology neutral manner. In the Notice and Order, the Commission asks whether “if we adopt longer term, renewable PALs, it would serve the public interest to adopt certain performance requirements to ensure that the spectrum is put to its best use in an efficient and effective manner.” As an initial matter, GeoLinks believes that any spectrum license should carry with it the requirement to serve the public interest. Spectrum is, first and foremost, a public resource and should be allocated accordingly. GeoLinks asserts that PALs should be awarded in a way that promotes the Commission’s interests in closing the digital divide. GeoLinks proposes that the Commission implement a requirement to provide broadband service over the 3.5 GHz Band to some minimum portion of the geographic license area within a reasonable time frame (regardless of how large or small the license area may be). Specifically, GeoLinks recommends that this minimum be set high enough to ensure that unserved areas (if applicable) within the license area are not left behind. In addition, if a PAL is renewed, it should carry a new set of buildout or network improvement requirements to ensure PAL holders do not sit on spectrum licenses without fully utilizing them.  GeoLinks urges the Commission to require license holders to provide status updates regarding their deployment/ network improvements within the 3.5 GHz Band by census block. Reporting should be required on a quarterly basis for the first year of the initial license period or renewal and annually thereafter. In addition, the Commission should develop rules to require relinquishment, partition, or disaggregation of the PAL if deployment requirements are not met (as discussed in more detail below). These requirements will alleviate the risk of spectrum warehousing within any given license area and encourage rapid deployment of high-speed broadband by license holders. As noted above, spectrum is a public resource and it should be managed in a way that more effectively and efficiently serves the public need. Regardless of what license area the Commission may adopt, the Commission must implement rules for PAL holders that prohibit spectrum warehousing. GeoLinks believes that it will be inevitable that some PAL holders may be unable or unwilling to expand their services over the 3.5 GHz Band throughout an entire license area. Without rules to allow (or require) relinquishment, partition and/ or disaggregation of the remaining license area, PAL holders could merely sit on the unused spectrum. The likely result would be that urban areas within a license area would receive the benefit of services offered over the Band while rural areas would be left behind and spectrum that could otherwise be used for broadband deployment would be left unused. To avoid this potential problem, the Commission should create rules that would allow other interested parties to acquire the unused portion of the PAL license areas. In making this recommendation, GeoLinks does not advocate that PAL holders should be able to set the price or terms for transferring unused spectrum to an interested party. GeoLinks firmly believes that if a PAL holder is not willing to utilize the 3.5 GHz Band throughout the entire license area or does not meet certain mandatory buildout requirements (such as those suggested above), the holder should not reap a benefit. GeoLinks urges the Commission to create rules that discourage spectrum warehousing by ensuring that PAL holders do not obtain a windfall for poor spectrum management and allowing other interested parties to obtain unused spectrum resources. In its comments on the Public Notice, GeoLinks did not oppose the use of PEAs in licensing PALs but urged the Commission to consider the unique characteristics of rural vs. more populated areas when determining how those areas should be licensed. Specifically, GeoLinks suggested that the Commission consider whether rural areas would benefit more from using smaller geographic areas (such as by census tract or county) vs. PEA if it would ensure more timely broadband access to rural communities. PEAs differ in size as well as in urban vs. rural make up. For example, PEA 2 in Southern California, encompasses very populous areas like Los Angeles and Orange Counties as well as large rural areas that are currently deemed “unserved” by high-speed broadband such as San Bernardino and Kern Counties. Conversely, PEA 192 is only comprised of Cumberland County, NC, which encompasses Fayetteville. These PEAs are undoubtedly very different and a licensing scheme appropriate for one would not necessary be appropriate for the other. GeoLinks recommends that the Commission develop PAL licensing rules that account for the differences between areas like PEA 2 vs. PEA 192. Logic dictates that areas such as PEA 2 should be divvyed up in a way that would account for differences between the different regions and sub-regions within it. Because census areas are widely used and understood, division by census area (tract or even block group) would likely be easier to implement that some other metric. However, the Company urges the Commission to use its expertise in assessing broadband deployment and population centers to develop a licensing scheme that is in the best interests of the specific area that license falls within. Regardless of what geographic area(s) the Commission adopts for PALs within the 3.5 GHz Band, as discussed above, GeoLinks urges the Commission to develop and enforce strict buildout/ service requirements and develop robust relinquishment, partition and/ or disaggregation rules to ensure that license holders utilize the spectrum within the entire license area held. This will help ensure that rural, sparsely populated areas that may not be attractive to some license holders are not left with no way to benefit from this band. As GeoLinks has previously expressed to the Commission, the Company believes that the Connect America Fund Phase II Auction (“Phase II Auction”) presents an opportunity for the Commission to develop spectrum licensing policies specifically focused on unserved and rural areas. Specifically, GeoLinks urged the Commission to allow Phase II Auction awardees the opportunity to obtain priority access to spectrum resources with which to serve eligible areas. GeoLinks believes that this priority access could be considered in developing rules for the 3.5 GHz Band. GeoLinks proposes that Phase II awardees (or, depending on timing, Phase II applicants that pass the short form phase of the application process) that rely on spectrum resources be allowed “first crack” at a PAL covering applicable eligible areas. The 3.5 GHz Band offers a broadcast range that would allow fixed wireless ISPs such as GeoLinks the ability to provide high-speed broadband service across large rural areas with minimal tower construction. Therefore, GeoLinks asserts that access to spectrum resources in this band (especially resources sufficient enough allow point-to-multipoint (“P2MP”) services) would ensure the speed tiers that the Commission seeks from Phase II applicants could be met at a fraction of the cost of traditional wired networks. GeoLinks suggests that the Commission develop licensing rules for the 3.5 GHz Band that will maximize the benefit of the Phase II auction. As stated above, GeoLinks asserts that the Commission should make the 3.5 GHz Band available to different technology types on an equal basis. Doing so would allow consumers to benefit from different service offerings and ensure competition opportunities. However, as noted, GeoLinks understands that the 3.5 GHz Band will be primarily be allocated for 5G mobile wireless use. If that is the case, the Company urges the Commission to allocate other bands primarily for fixed wireless technology uses and implement rules similar to those proposed herein to ensure that spectrum is fully utilized. As an initial matter, mobile wireless carriers have more spectrum than they need to meet current service requirements and 5G technology is still years from being fully developed and deployed. It makes little sense to allocate most, if not all, of 3.5 GHz Band plus other mid-band spectrum plus the spectrum that wireless carriers already control to a technology that is still being developed and won’t be ready for deployment for an indefinite amount of time. Instead, the Commission should develop spectrum allocation policies that allow for immediate deployment of high-speed broadband services, specifically in rural areas. These policies are imperative to closing the digital divide. In the recent Restoring Internet Freedom Order, the Commission determined that “network investment is key to closing the digital divide, spurring competition and innovation that benefits consumers.” To reach this goal and spur this network investment, the Commission must create avenues by which competition can flourish and alternative providers can enter the market. With respect to wireless technologies, this can be accomplished by making additional spectrum resources available. Access to dedicated spectrum will allow fixed wireless ISPs to utilize clean spectrum connections to deliver robust, high-speed service. Specifically, access to dedicated licenses for P2MP connections will allow for high-speed broadband connections to numerous locations from a single transmission point, resulting in additional bandwidth and deployment opportunities at a fraction of the cost of traditional, wired broadband services. GeoLinks believes there are numerous bands well suited for P2MP technologies (in addition to the 3.5 GHz Band), including 3.7-4.2 GHz, 5.925-6.425 GHz, 10-11 GHz, and 23-24 GHz. The Company encourages the Commission to continue its work to develop new spectrum allocation policies and, in doing so, urges the Commission to ensure these policies create the competitive opportunities that will promote network investment. In conclusion, GeoLinks urges the Commission to adopt rules with respect to spectrum licensing in the 3.5 GHz band that do not close off the band to fixed wireless service providers, ensure efficient use of the band, prohibit spectrum warehousing, and promote broadband deployment and competition. Notice and Order at para 27. Notice and Order at para 17. PEA 2 is comprised of Kern, Los Angeles, Orange, Riverside, San Bernardina, San Luis Obispo Santa Barbara, and Ventura Counties. See http://www.broadbandmap.ca.gov/ (last visited on December 22, 2017). Public Notice, “FCC Acts to Restore Internet Freedom; Reverses Title II Framework, Increases Transparency to Protect Consumers, Spur Investment, Innovation, and Competition,” WC Docket No. 17-108 (rel. Dec 14, 2017). In developing new spectrum policies, GeoLinks urges the Commission to undertake rulemakings to develop rules to allow for P2MP services in the 11 and 23 GHz bands (which are currently only for point-to-point services). GeoLinks asserts that any new rules developed for any band should include the rigorous reporting and buildout requirements discussed herein and should set forth a process for relinquishment of any unused spectrum. Working with municipal stakeholders cuts costs, increases speed of rural deployments of the more than 30 million people in the United States without access to the internet, some 6 million of them are students, Skyler Dithfield, CEO of service provider Geolinks, told RCR Wireless News during the recent TC3 conference. “I grew up with no internet in a rural area myself,” he explained. Once he was connected, access changed the way he approached his own educational experience. Years later, Ditchfield read an article about dozens of k-12 schools that were unconnected, had grant funding to fix the problem, “but no service providers stepped forward. We can do this,” he told himself. Now Geolinks is one of the fastest-growing telecom companies in the country, according to the Inc. 5000 index. Specializing in rural connectivity, Geolinks provides service in Southern California and parts of Arizona. This is accomplished with a mixture of fiber and fixed wireless, including iterations like using TV white space—something being pushed by Microsoft. “It’s going to be conjoining those networks in the proper design and topology depending on the terrain, the density of housing, etc…to get not only a cost effective deployment, but also rapid. To hear more from Geolinks, including the role of the 3.5 GHz CBRS band in delivering rural coverage, as well as the company’s focus on delivering multi-gigabit speeds using millimeter wave spectrum, check out this video interview.